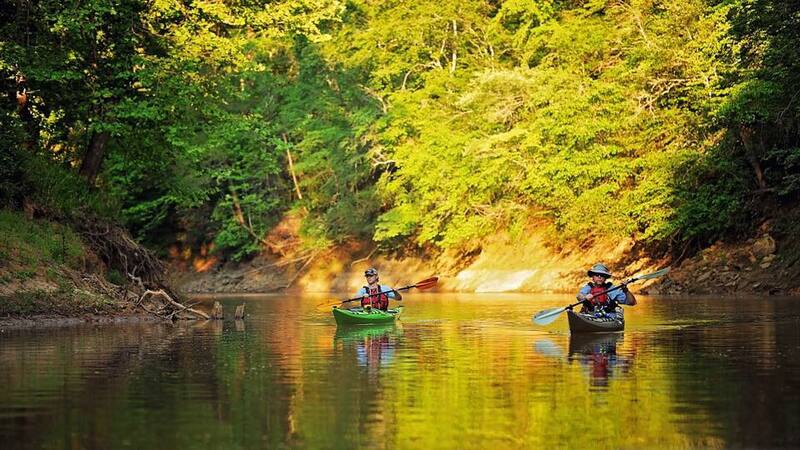 Paddle down the Broad River and experience the truly unique Anthony Shoals. Have a lake day and the always inviting Holliday Park. 333 acres. Fishing, boat ramp, picnic area, and primitive camping. ​Lake provides 71,100 acres of opportunity for the angler. The fish species include largemouth bass, bream, crappie, catfish, striped bass, and hybrid bass. Numerous boat ramps, fishing piers, and bank fishing areas provide experienced and novice anglers with ample fishing opportunities. Deep water fish attractors are marked with an information buoy. Only 30 minutes away, A. H. Stephens State park is known for its equestrian facilities, Confederate museum and lakeside group camp. Horseback riders can explore 21 miles of trails and stay overnight in their own campground. Overnight guests can choose from lakeside cottages or a modern campground, while large groups can enjoy privacy in the park’s group camp or pioneer campground. 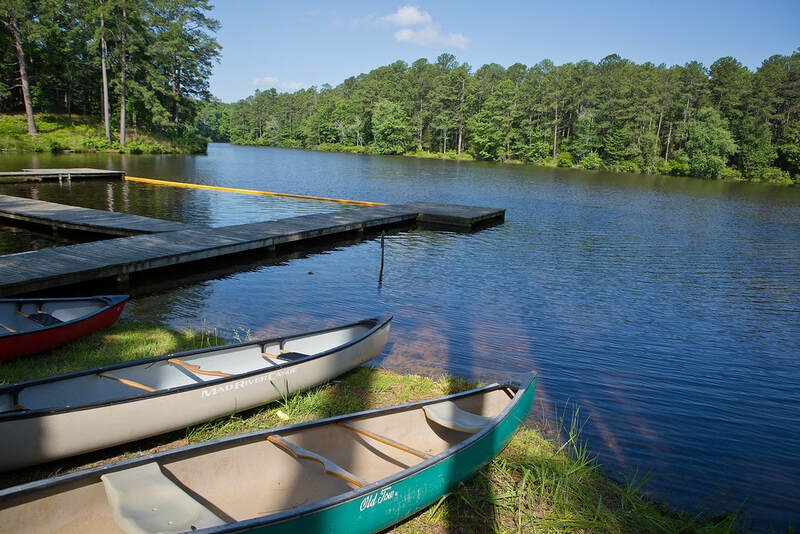 Just 30 minutes away Elijah Clark State Park is located on the western shore of 71,100 acre Clarks Hill Lake, one of the largest lakes in the Southeast. With its boat ramps and accessible fishing pier, it is especially popular with anglers and boaters. A sandy swimming beach welcomes visitors to cool off during Georgia summers. Rental cottages are located on the lake’s edge, and the spacious campground is nestled into the forest. Tent campers will enjoy extra privacy in the walk-in section. "This is a 2,900 acre Wildlife Management Area open to hunting seasonally. Camping, pre-season scouting, hiking, picnicking, canoeing, and other recreational uses are allowed year-round, unless otherwise posted at the WMA check station or at a specific recreation site. However, horseback riding and bicycling are restricted to open, improved roads, designated trails or designated areas. Horse and bicycle trails and areas may be closed during certain hunting seasons to avoid user conflicts. Specific recreation sites can be closed as needed for management purposes by posting at the site. All WMA visitors are encouraged to wear hunter orange during hunting seasons. Refer to the annual hunting seasons and regulations to determine when specific WMA are open for hunting and what type of hunting is occurring."